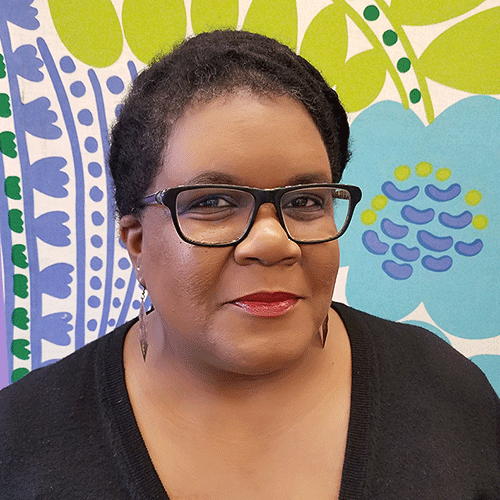 CHICAGO – Veronda J. Pitchford, Director of Membership Development & Resource Sharing, Reaching Across Illinois Library System (RAILS), has been selected for the 2018 Cathleen Bourdon Service Award administered by the Association of Specialized and Cooperative Library Agencies (ASCLA). “Veronda is the co-founder and co-chair of the ASCLA Consortial eBook Interest Group from 2014 to the present. During this time, the interest group has grown to become an important forum for library leaders and library vendors to meet to discuss developments in digital content. If a new initiative arises that might enhance the digital experience for consortiums, its proponents know that the eBook Interest Group is an important place to introduce the idea, hear thoughts on it, and generate attention to it”, said nominator Michael Blackwell, “Her name is, in short, synonymous with innovation, community and collaboration, and using ASCLA’s reach to engage and excite”, Blackwell added. Pitchford will be honored at the ASCLA Achievement Awards Ceremony on Saturday, June 23, 2018 from 8:30-10:00am at the ALA Annual Conference in New Orleans. All conference attendees are invited to attend the event. Additional event details are available on the conference website. The Association of Specialized and Cooperative Library Agencies (ASCLA), a division of the American Library Association, enhances the effectiveness of library service by advocating for and providing high quality networking, enrichment and educational opportunities for its diverse members, who represent state library agencies, libraries serving special populations, library cooperatives and library consultants.